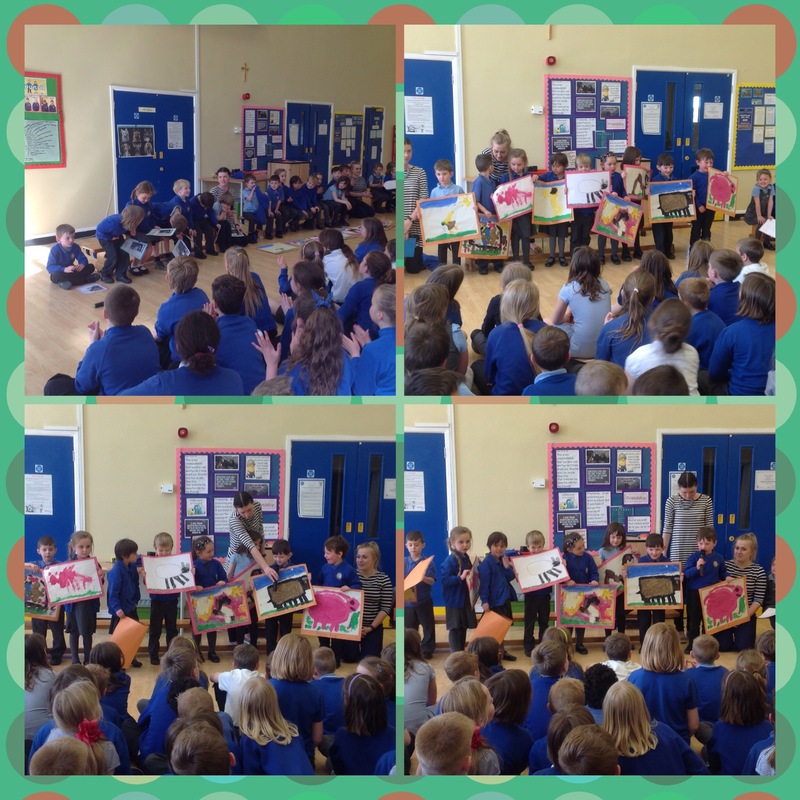 Reception Class led a wonderful assembly today related to their topic on Farm animals. 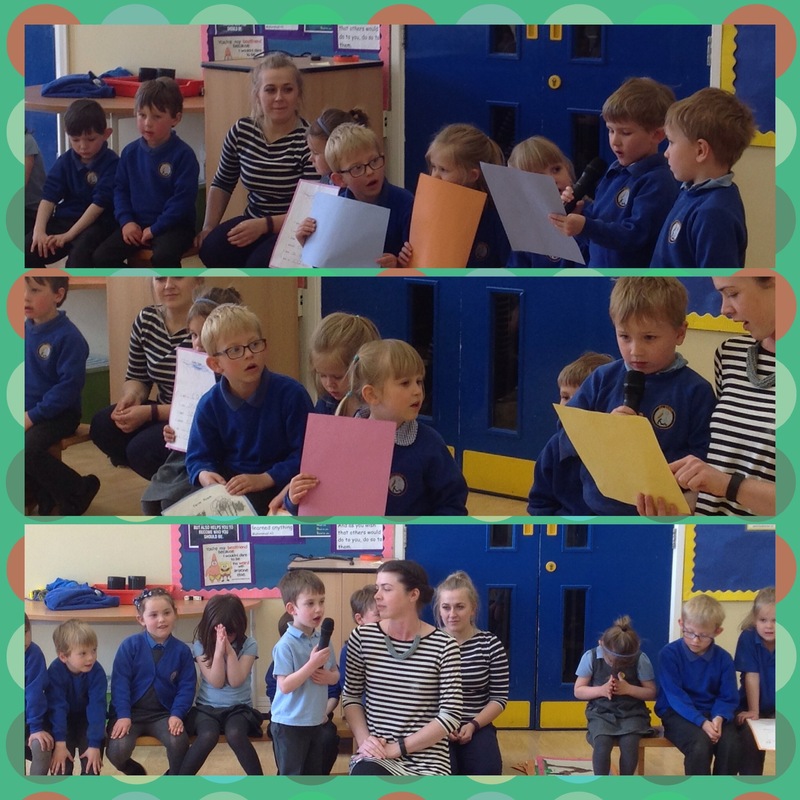 We all heard interesting and little known facts about individual farm animals. We were then treated to some amazing art work and also beautiful descriptive sentences about farm animals. 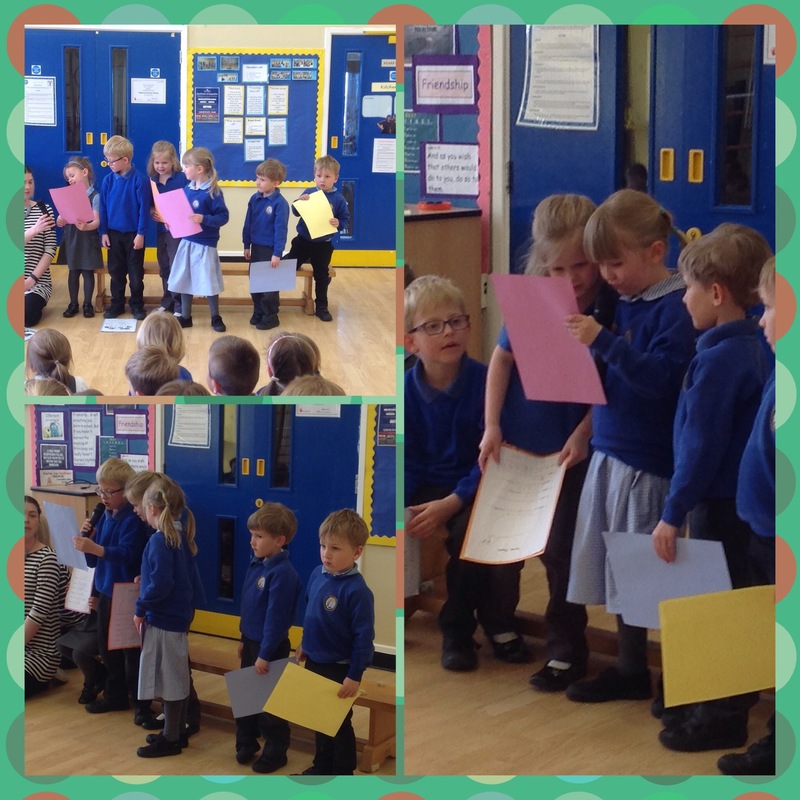 The assembly ended with a prayer led by a Reception child. 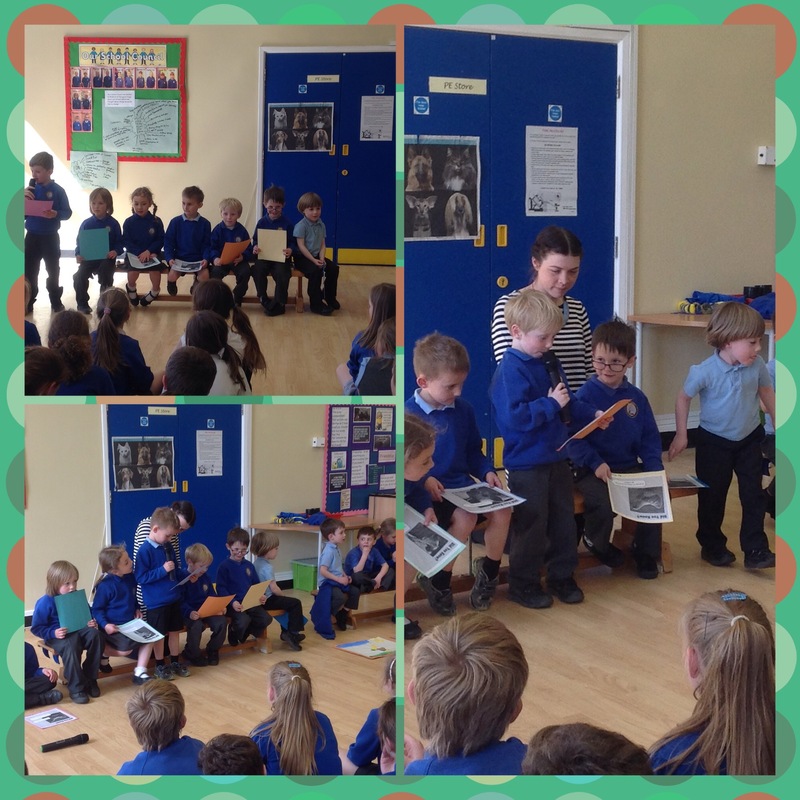 Miss Frith told us that all the children wanted to talk to the whole school about their work. This is an amazing achievement because it can be quite daunting standing in front of all the pupils and staff with a microphone in hand!! Well done Reception class. So wonderful to see the confidence of such young children. Well done everyone. It is wonderful seeing how much these children enjoy their learning. Talking into a microphone in front of a big audience is quite scary but Reception loved the opportunity and every child performed brilliantly. I was very proud of Charlie!! !